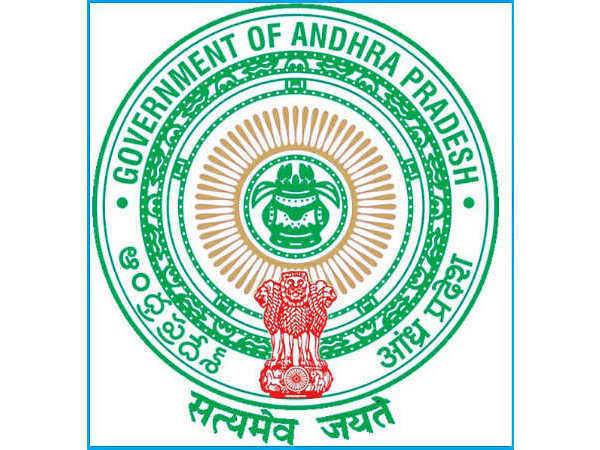 The Directorate of Higher Education (DHE), Govt. 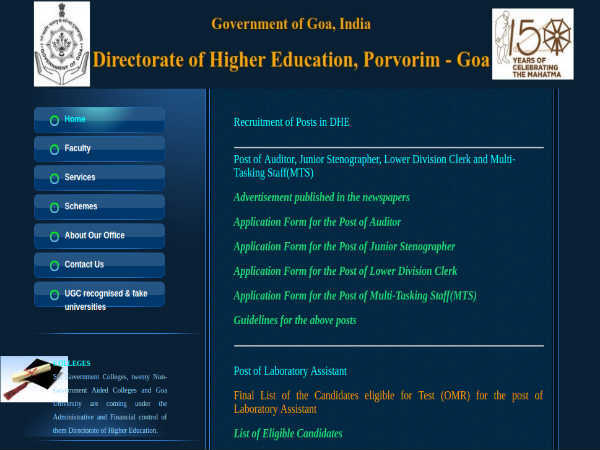 of Goa has released a notification inviting applications from eligible candidates for filling 127 vacancies to the posts comprising Auditors, Junior Stenographer, Lower Division Clerk (LDC) and Multi-Tasking Staff (MTS). The application process towards the same starts from 15 January 2019 and closes on 1 February 2019. Candidates applying for the above positions through DHE Goa Recruitment 2019 must not have exceeded 45 years of age, with a relaxation of 5 and 3 years for SC/ST and OBC candidates, respectively. Auditors - Candidates applying for this post must possess a Bachelor's Degree in Commerce from a recognized University with Auditing and Accountancy subjects and must possess knowledge of Konkani. Junior Stenographer - Candidates applying for this post must have qualified 10+2 OR secured a Diploma approved by AICTE from a recognized institute and must have knowledge of Konkani. He/she should be computer literate and must have a speed of 100 words (per minute) in Short Hand and 35 words (per minute) in Typewriting'. Lower Division Clerk (LDC) - Candidates applying for this post must have qualified 10+2 OR secured a Diploma approved by AICTE from a recognized institute and must have knowledge of Konkani. He/she should be computer literate. Multi-Tasking Staff (MTS) - Candidates applying for this post must have qualified 10+2 or equivalent from a recognized Institution/Board OR must have passed a course conducted by Industrial Training Institute (ITI) in the specific Trade from a recognized Organisation/Institute. He/she must possess knowledge of Konkani and be computer literate. The selection of candidates to the posts of Auditors, Lower Division Clerk (LDC) and Multi-Tasking Staff (MTS) through DHE Goa Recruitment 2019 will be done based on the marks secured in the OMR test in the relevant trade. Junior Stenographers will be selected based on Skill Test as well as OMR test. 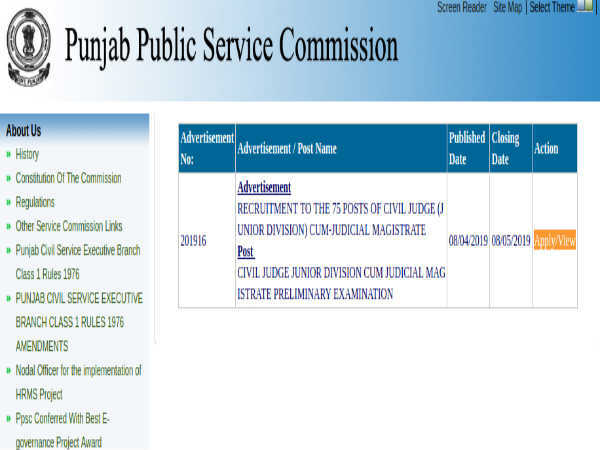 Candidates have to apply in a prescribed form against the given post individually in the above-mentioned link.